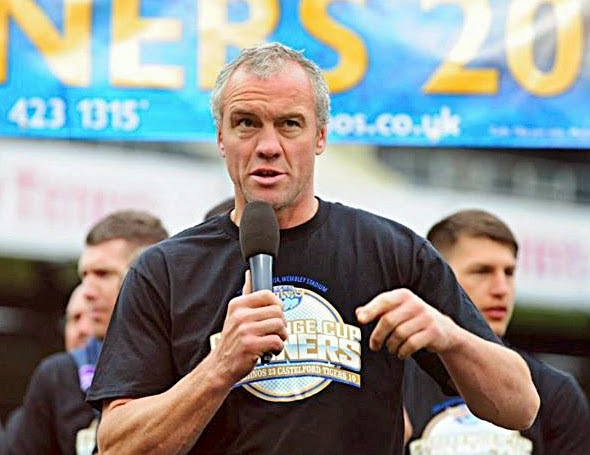 Along with many other Leeds folk, including Steve S who sent this photo in (thank you), I was really pleased that Leeds Rhinos won the Rugby League Challenge Cup Final at the weekend by beating local rivals Castleford. 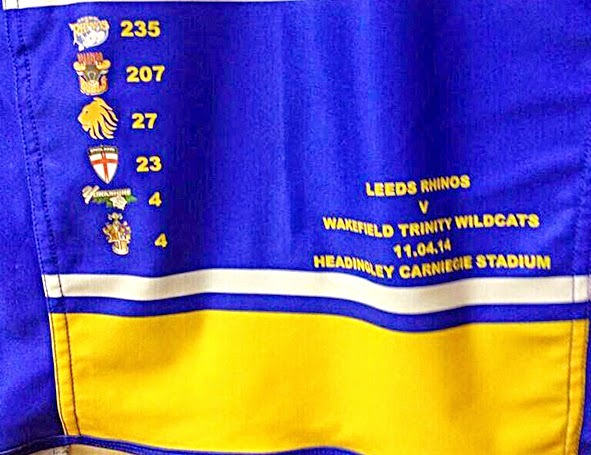 Or Castelford, according to the Winners shirts all the team wore at the homecoming at Headingley Carnegie Stadium on Monday. OK. I guess the shirt printers could be forgiven. It's another team. Another town. Surely they wouldn't make such an error closer to home, would they? Er, yes. They would. And did, back in April when they produced this shirt in celebration of Jamie Peacock's 500th career game. To think that Andrew Carnegie donated vast sums of money trying to improve literacy.